Martine came home from Manila with a little bit of Paris. In truth, she’s the sweetest girl; she brings home all that I have to want like Krispy Kremes and J. Co’s. So the latest, macs for breakfast. Took photos and they’re gone in a flash. 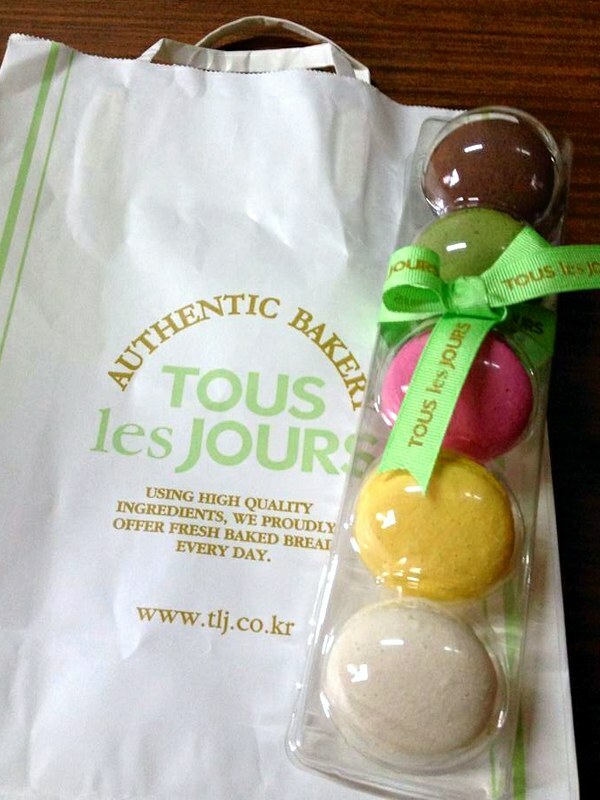 Tous les Jours originated from Korea. A global franchise bakery and a virtual happy place of interesting breads and beautiful cakes..They’re getting huge in Manila (Check out their stores here). With great packaging that protects the fragile babies, the macs travel well. They aren’t overpriced macarons! For the premium quality, they are affordable like only 150 plus for 5, while older brands range between 50-70 each. 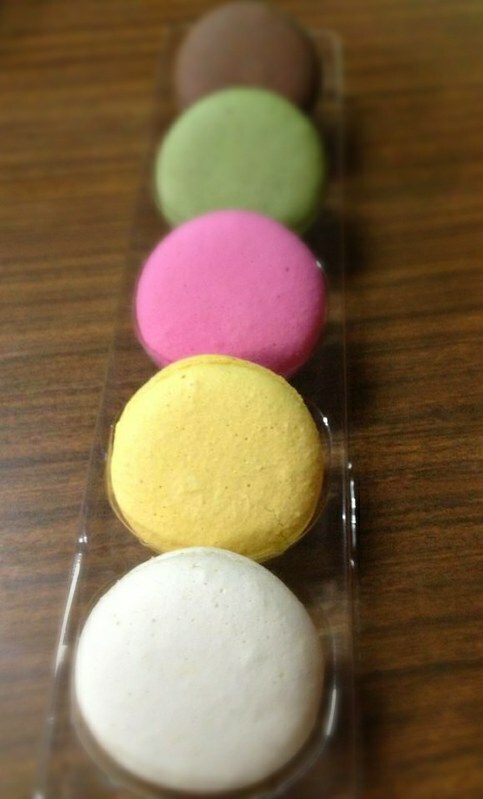 Lovely flavors such as Korean cherry, maple, mango, green apple, etc.